i went out wif nadz yesterday..! mished her soo soo much... we talked, laughed non stop..! the makcik2 kat surau bg usha pelik2.. hehe.. who cares?? i got to meet my buah ati.. yay! 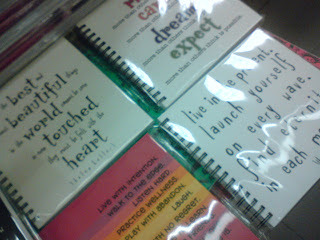 we went to MPH to get sum stuff.. tjumpe notebook yg de cute cover, pnuh ngan quotes.. besh2.. ktorg dok bsile nk carik the besh notebooks.. huhu.. people were staring at us... but, who cares..?! huhu.. d most important thing, we got wat we wanted... we bought 2 comel testpads, 3 notebooks n a new pencil box... every sem, musti beli new pencil box.. aiyoo.. so la tamak.. huhu.. nadz is so la tamak.. da beli testpad pon nk gaks.. tape2.. org tamak selalu untung..! 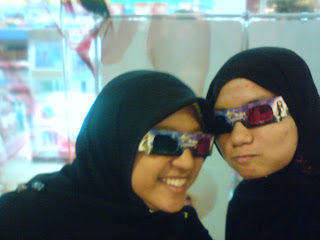 huhuhu.. then, pas bli brg, tjumpe cermin mate 3D hannah montana.. huhu... kawaii..!! comel bangat...! so, wifout malu2, ktorg tros pki n mek pics.. so la nadz yg aja..! huhuhu... ustazah rock! 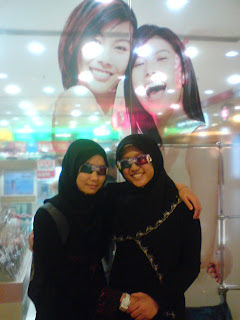 had a great time wif her.. besh2..
Infinites of 'X'es n 'O'es kat korg!! angah.. we missed you too...!